But just because many people ride the subway, says Steven Kavee, “it doesn’t mean that you have to — at least not all the time.” Kavee, president and CEO of group tour operator Small Journeys, understands the challenges of navigating New York City with large student groups, as well as many of the concerns that teachers or parents might have. 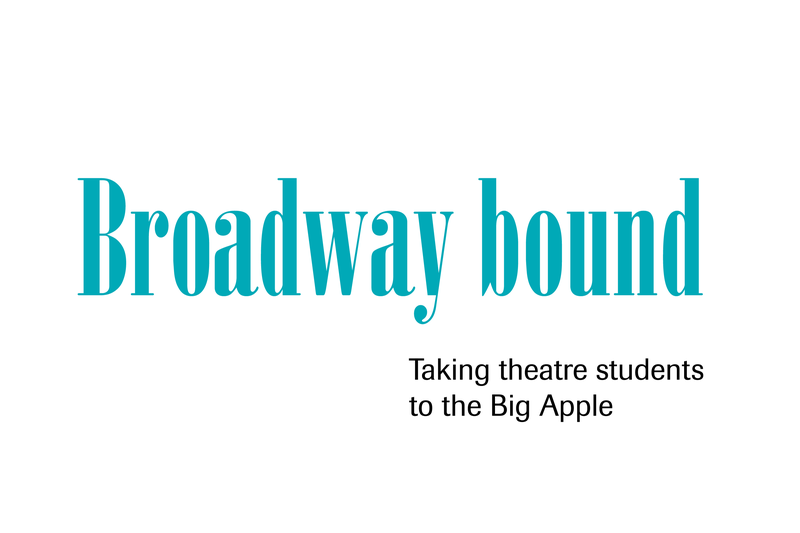 Recently, he spoke with Teaching Theatre magazine about how to get around the city with student groups. He was joined by Aaron Thomsen, co-owner of Broadway Life Student Group Travel, and Pat Dailey, a group sales agent whose company, Broadway GPS, provides ticketing services for theatrical events. Together, the trio discussed best practices and tips for an enriching and successful group trip to New York. Check to ensure your guide is licensed. Licensed guides must pass a state mandated exam and should be well-versed on city transportation, restaurants, lodging, sights, and history. Ask for a copy of their license. If they are hesitant to offer one, be hesitant to work with them. To verify the authenticity, contact the New York City Department of Consumer Affairs (http://www1.nyc.gov/site/dca/index.page). The first step is figuring out how to get to New York. Many tour operators will include transportation to and from Manhattan — usually by coach bus or plane. However, some school districts prefer to use their own vendors for transit, so check to see what your school requires. This is also a good time to double-check the scope of service your tour operator offers. Thomsen touts his company as a soup-to-nuts operation and is happy to arrange flights. In addition, he makes sure that groups have a representative with them from the moment they arrive until the moment they leave. Small Journeys offers the same service, but Kavee suggests the use of a local travel agent for best pricing on flights. The total number of trip attendees will affect the bottom line cost as well. “The markup will undoubtedly be higher for 15 people than it will for 30,” Kavee says. “With more people, the cost per person will decrease.” For that reason, it might be useful to expand the group to other students within your school. Whatever the final cost, fundraising is essential. Bake sales, yard sales, car washes, and flower sales may seem outdated, but they still work. Plus, they encourage camaraderie among students, teachers, and the community. Grant proposals are another way to finance a trip. Worldstrides, one of the nation’s largest accredited travel organizations offers in-depth ideas for financial assistance on their site (https://fundraising.worldstrides.com). New York City is not the violent urban jungle you’ve seen in movies. Statistics reflect a significant decrease in criminal activity since the mid-1990s, and The Economist ranked New York as the 10th overall safest major city in the world in 2015. Still, you should remain vigilant and take precautions to ensure you are not the victim of petty crimes. Most establishments and services accept ATM and credit cards. For that reason, it is best to carry very small amounts of cash. Wallets should be worn in front pockets to prevent pickpocketing. Expect many street encounters, from panhandlers to sidewalk merchants to street performers. Seemingly sincere tales of woe and bargain prices on (fake) designer goods may deceive young tourists. Let students know that the best way to handle requests is to politely decline or just to ignore the request. Street characters performing in costume might not be as attractive to high school students as they are to younger ones. Still, make your students aware that many earn a living doing this and rely on nominal tips in return for photographs. Logistically, it’s easy to find hotels in Manhattan, but the costs can be prohibitive. Hotels in New Jersey, directly across the Hudson River from New York City, typically run about half the price as those near the theatre district in Midtown — often with a complimentary breakfast, a convenient time-saving perk less common among Manhattan properties. Even with a coach bus to shuttle your group to and from the city, this is still more cost-effective. Your tour operator likely can help with this decision and booking. It’s also important to know the layout of the hotel. Kavee suggests finding places where there is an ample amount of double beds on one floor. This way, groups can stick together and not be spread out throughout the entire building. Most tour operators work with local restaurants and include meals in the cost of the package. Larger groups (40 or more) have limited options, because of space constraints in most establishments. 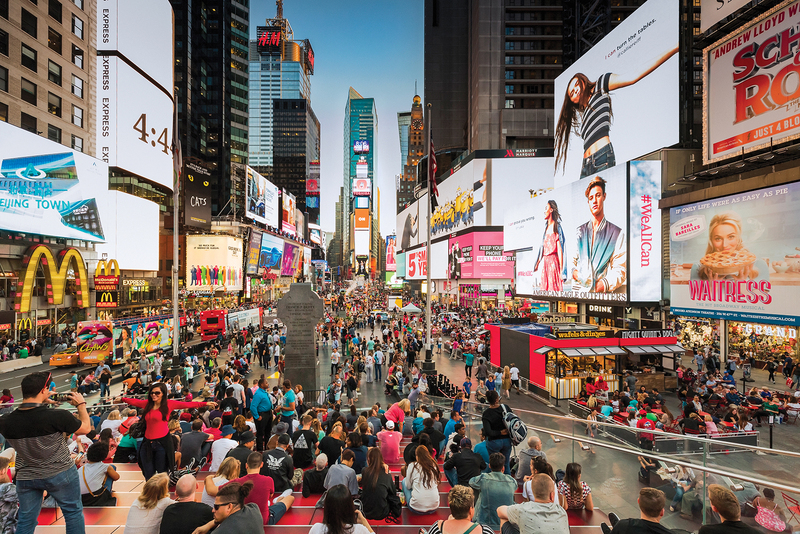 Times Square is rife with chain restaurants that, although they might not be your idea of a city-specific experience, provide a decent burger and fries in a lively environment. They also are close to all major Broadway houses, so groups can get in and out in a timely manner. Smaller groups can be more adventurous. A short 10- to 15-minute walk just a few blocks east or west of Times Square also will provide you with a plethora of high-quality, lower-priced restaurants. Trip Advisor or Yelp are reliable guides. “For aspiring student actors, the classroom is the world,” Thomsen said. “For that reason, we like to take them to places off the beaten path.” It’s good to make a reservation in advance, though. This ensures that places will have the staff and accommodations to service the group. 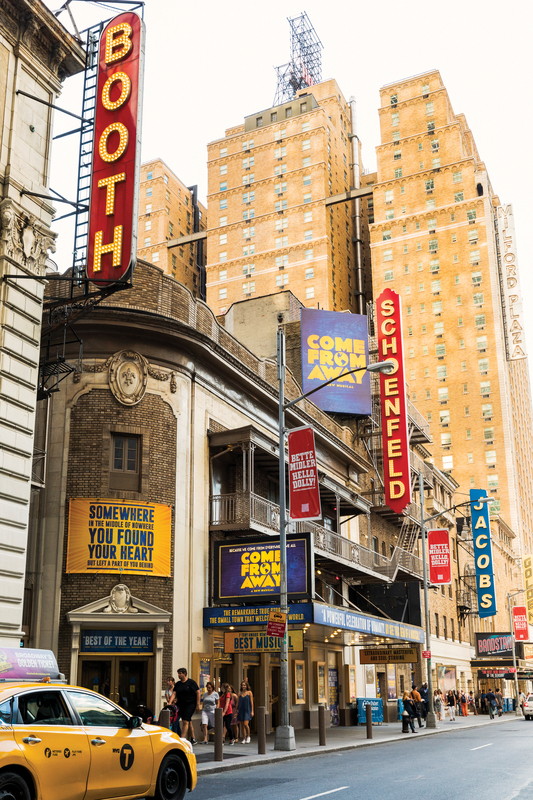 Broadway is the hallmark attraction for most New York visits, and of course that’s true for young Thespians. With an array of options but limited time, you’ll have to choose wisely. Dear Evan Hansen, Wicked, The Lion King, Aladdin, and Come from Away are currently among the most popular for school groups, according to Dailey. She recommends estimating conservatively when buying tickets. “They have to be purchased months in advance, so don’t buy more than you have the money for or have signed up for — unless it’s a hot ticket,” Dailey said. Box office agents do not have the flexibility to return tickets or offer exchanges, so if someone in your group is not using the ticket, the value will be lost. Tickets often can be added for last-minute guests. If your group gets free time and wants to spontaneously take in a show, there are a few options. Check out the Theatre Development Fund’s discount ticket booth, TKTS, in the heart of Times Square. Broadway Box (www.broadwaybox.com) is an online site that provides discount codes on shows. Save on ticketing fees and surcharges by taking the code directly to the theatre and purchasing tickets at the box office. TodayTix is an app that also offers discounts and lotteries for in-demand shows. Finally, students with a valid ID often can purchase day-of tickets for as low as $25 per ticket. Information on specific shows and policies can be found online at Playbill (http://www.playbill.com/article/broadway-rush-lottery-and-standing-room-only-policies-com-116003). Before the performance, check the show’s website for student study guides, which can provide background information and insights. This material is most useful when presented before the trip, either in the classroom or as homework. Once you arrive, you can take in pre-show workshops offered by companies like Broadway GPS and Broadway Life. Led by people in the industry, these 60- to 90-minute classes can expose students to the inner workings of a show and bring them closer to artists and stagehands. “You’re really missing the point if you limit transit to the subway,” Kavee said. “You’re not seeing the city in its glory, so you’ve got to be on a coach at some point to get a whole view of it.” Public transportation might work for one day, but remember you’ll have to keep a headcount — a challenging task on a crowded subway car. Taxis, car services, and pedicabs are also costly and ineffective at shuttling large groups around town. 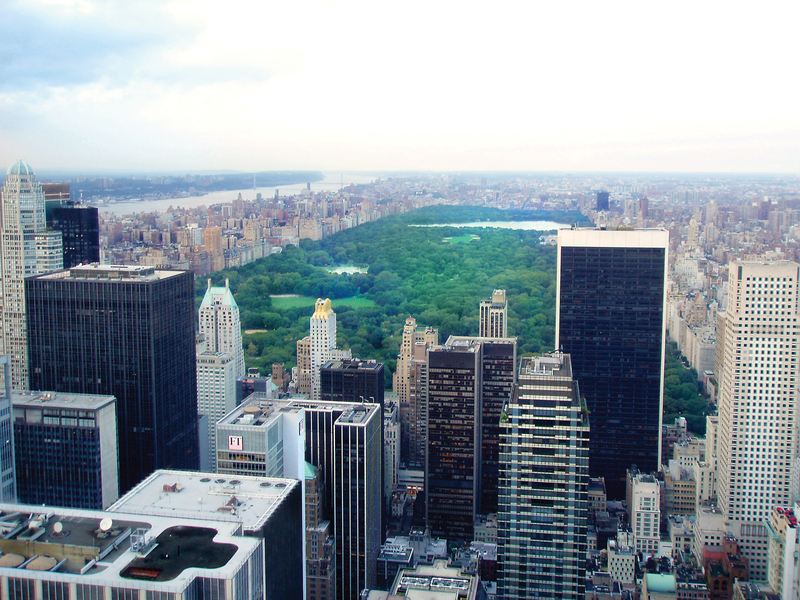 If you’ve been there, you know that Central Park is much bigger than the uninitiated realize. Have a plan. Kavee suggests the conservatory gardens, Belvedere Castle, or the carousel. And steps away from the southern tip of the park is Radio City Music Hall. Kavee proclaims its backstage tour as “the best you’re gonna get. People don’t realize how good it is!” He also suggests the Metropolitan Opera house backstage tour. Both Kavee and Thomsen also agree that a walk across Brooklyn Bridge is worth the investment of time. “It’s spectacular and the views are wonderful,” Kavee said. Thomsen likes to combine the bridge tour with Chelsea Market and some time on the Highline, an elevated public park built on a historic freight rail line. All of that said, don’t let fear of missing out cause you to overbook. New Yorkers can spend a lifetime in this town and not experience all that it has to offer. With some careful research, sound advice from knowledgeable professionals, and basic common sense, you will undeniably expand horizons for your students — and for yourself.